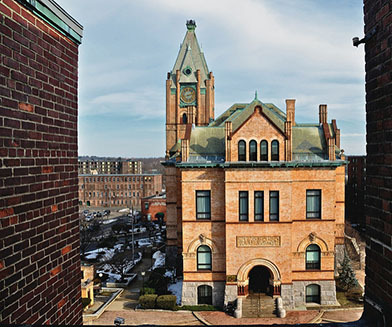 Located in Plymouth County, Brockton has more than 90,000 residents and is one of the largest cities in Massachusetts. Breakstone, White & Gluck has represented numerous clients in the Brockton area. Our attorneys recently negotiated a $3.5 million settlement for the family of a motorcyclist killed in a wrongful death case. For a woman hit by a reckless truck driver, we reached a $3 million settlement. Read about our other settlements and awards for clients. If you have been hurt in a car accident, pedestrian crash or other incident, our Brockton personal injury lawyers have the experience and commitment to represent you. For a free legal consultation, contact our attorneys at 800-379-1244 or 617-723-7676 or use our contact form. Breakstone, White & Gluck specializes in personal injury accidents and medical malpractice. We represent clients in Brockton and surrounding communities, including Stoughton, Avon, Abington, and East Bridgewater. If you have been injured, your first priority is to receive medical attention at a local hospital. Your next step is to contact a personal injury attorney, who can help you file a police report about the accident with the Brockton Police Department. The department is located at 7 Commercial Street in Brockton. Landlord and building issues will typically bring you to Brockton City Hall at 45 School Street. Brockton Car Crashes. Brockton has two of the most dangerous intersections in Massachusetts, according to a 2016 analysis reported in The Brockton Enterprise. The state’s very worst intersection sits at West and Pleasant streets in northwest Brockton. Over 3 years, there were 102 car crashes, with injuries reported in nearly half of the collisions. The corner of Ash and Elm Street in Brockton is the state’s 13th worst intersection. The corner saw 93 car accidents, causing 23 injuries, over 3 years. Brockton Pedestrian Accidents. The city, police and local schools have worked to raise awareness about pedestrian accidents in Brockton since 2014, when the city lost 9 pedestrians to car accidents. Despite these efforts, pedestrian crashes rose again in 2017. On February 26, Brockton saw a double tragedy, with a 64-year-old pedestrian and a 48-year-old killed in separate accidents within seven hours of each other, according to The Brockton Enterprise. The pedestrian accidents occurred on Main Street and Centre Street, just two miles apart. On July 12, Brockton police responded to two pedestrian accidents which injured children within just 30 minutes. The accidents occurred in the parking lot of Vicente’s Supermarket on Pleasant Street and on Centre Street. The City of Brockton wants to stop these accidents and has been recognized for its work to do so. In 2017, the Angelo Elementary School received a “Gold” Award for its pedestrian safety programming from the Massachusetts Safe Routes to School, a program which works with schools across the state to help children walk and ride their bikes to school safely. Breakstone, White & Gluck partners with Massachusetts Safe Routes to School through our Project KidSafe campaign, donating bicycle helmets to children who participate in the programming and need one. Brockton Bicycle Accidents. Bicycle accidents are a growing concern in Brockton. In 2016, a 14-year-old Brockton boy was hit and killed by an SUV on Main Street. Brockton Landlord Negligence and Premises Liability Cases. The cost of housing is high in Massachusetts and tenants often live at the mercy of landlords. When landlords do not properly maintain a rental property, a tenant can be put at risk. Fires, porch collapses, pipe bursts and bug infestations are all examples of where landlord negligence can lead. Another common injury are slip and falls in snow and ice. If you have been injured as a result of your landlord’s negligence, it is important to speak to a personal injury lawyer who serves the Brockton community. Brockton Dog Bites and Attacks. Dog bites and attacks can occur when their owners do not properly secure them. In August 2017, the City of Brockton euthanized two dogs after an attack on Harlan Terrace. The two pitbulls escaped and attacked a woman who lived nearby, leaving her with 11 stitches, several bite marks and in need of surgery on her arm. Massachusetts holds dog owners or keepers strictly liable for any injuries caused by the animal. You must be able to prove that the person was the owner or keeper of the dog. But you do need to prove that you were not tormenting or teasing the dog. Dog bite claims are typically covered by the owner or keeper's homeowner's insurance policy in Massachusetts. Contact our Brockton dog bite lawyers to learn your rights for seeking compensation for your injuries. Brockton Medical Malpractice. Our lawyers have represented clients in medical malpractice cases across Massachusetts, including at the state’s leading hospitals, and helped them obtain the compensation they deserve for their injuries. Medical errors can have fatal consequences. They can happen during surgery or during a simple office visit when a doctor or nurse fails to clean equipment. Brockton is served by three hospitals: Caritas Good Samaritan Hospital, Brockton Hospital and the Brockton Veterans Administration Hospital (also known as the Brockton VA Hospital). Many residents also seek medical treatment at Boston hospitals. After any type of accident, your first priority is to seek medical treatment. Once you have seen a doctor, if you have been injured by the negligence or wrongdoing of someone else, consult a personal injury lawyer to learn your rights. For a free legal consultation, contact Breakstone, White & Gluck at 800-379-1244 or 617-723-7676 or use our contact form.